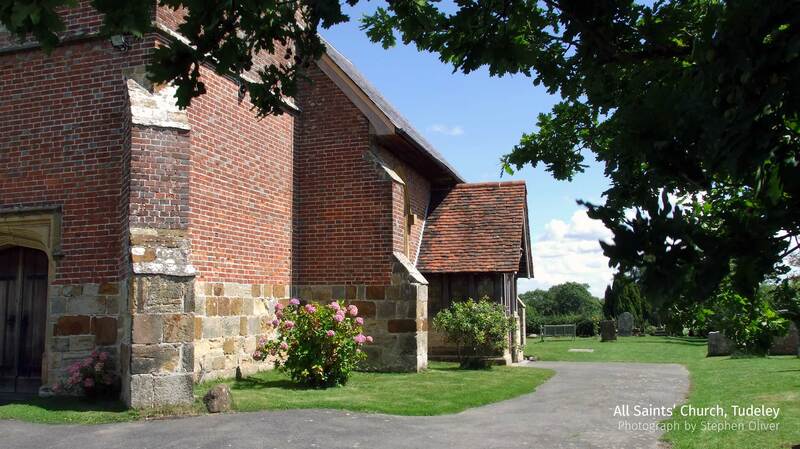 Nestled in the sleepy village of Tudeley, in Kent, lies the unassuming All Saints’ Church. This was our second visit to the church. 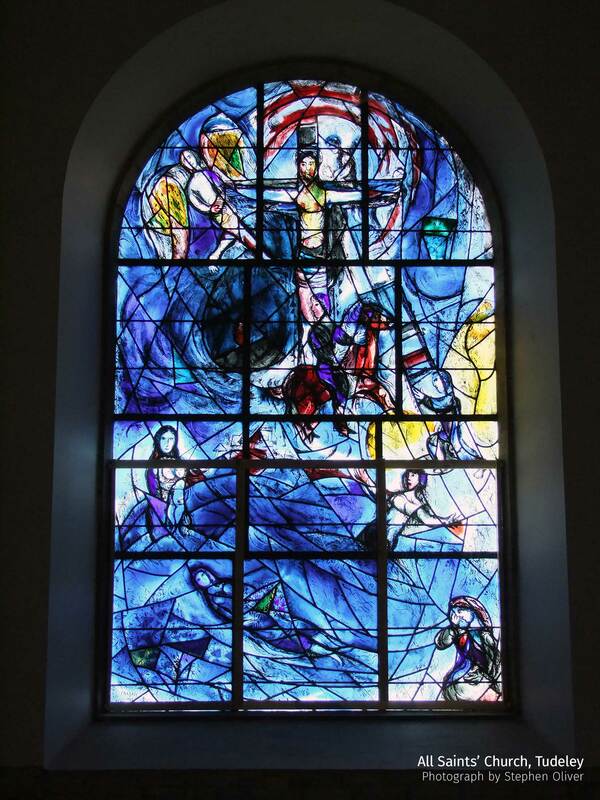 This year to view again the wonderful Chagall stained-glass windows and to take in the ‘Darling Buds of May’ Kent countryside. The little church has become one of the most visited of Wealden churches and is known internationally for its stained-glass windows – The only church in the world to have all the stained-glass windows created by the artist Marc Chagall (1887 – 1985). The east window was commissioned by Sir Henry and Lady D’Avigdor-Goldsmid in memory of their daughter Sarah, who died aged 21 in a boating accident in 1963. The symbolism of death and resurrection can be seen quite clearly in the design. In the lower section Sarah lies dead in the sea. To the left her mother is holding her two daughters; the surviving girl in bright colour and Sarah a pale shadow. 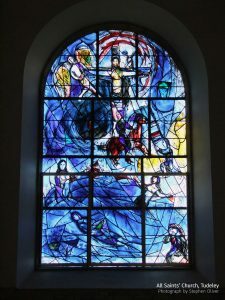 Above the red horse (a symbol of joy for Chagall) carries her to the ladder that leads up to a Christ figure on the cross, surrounded by angels.